There are few things as exciting as buying new furniture and feeling like you’re walking into a brand-new home. You feel great about the upgrades you made, but you’re unsure of what to do with all your old furniture. 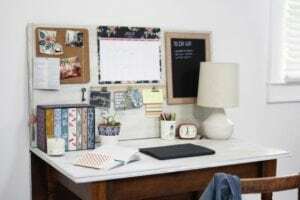 If it feels wasteful to throw out old items and you’re looking for a fun DIY project, then consider these ideas for repurposing your old furniture. Older, sturdy suitcases may not be up to the demands of modern travel, but they still have a role to play. Stacking two suitcases can create a unique and stylish end table for your couch. You can even use the top suitcase for storage. 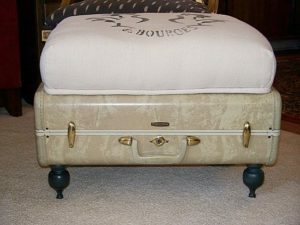 For extra stability, consider placing a tray on top of your suitcases so they can hold drinks and other items. Although benches are versatile, people often find that they take up more space than needed. If you have several benches, then consider stacking them on top of each other to create sturdy and dependable shelving. Ladders can fit this role as well. 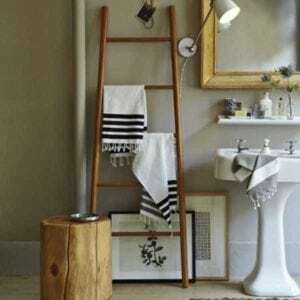 The tapered design of small ladders can create a quirky and versatile option for both storing and displaying items. Tables are often the first element to go when redesigning a room. If you have a wooden table, consider sawing it in half and attaching it to a wall to create a useful desk area or a floating shelf. You can also saw down the legs and use your table to create a convenient coffee table in front of your couch. Some tables can also be reused as headboards. Older TV stands designed for non-widescreen televisions often end up being thrown away. However, they can still work as shelving or storage—even if you upgrade to a newer stand. Consider removing the doors at the front to create an open look. You can even remove the drawers and add some wood to use them as versatile shelving. 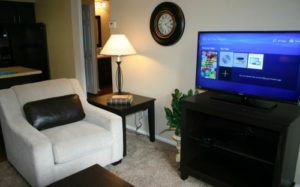 TV stands are often easy to disassemble, which makes it easy to reuse wood pieces of various sizes for other projects. Once you’re finished updating the TV stand, look into some creative ways to repurpose your old TV. 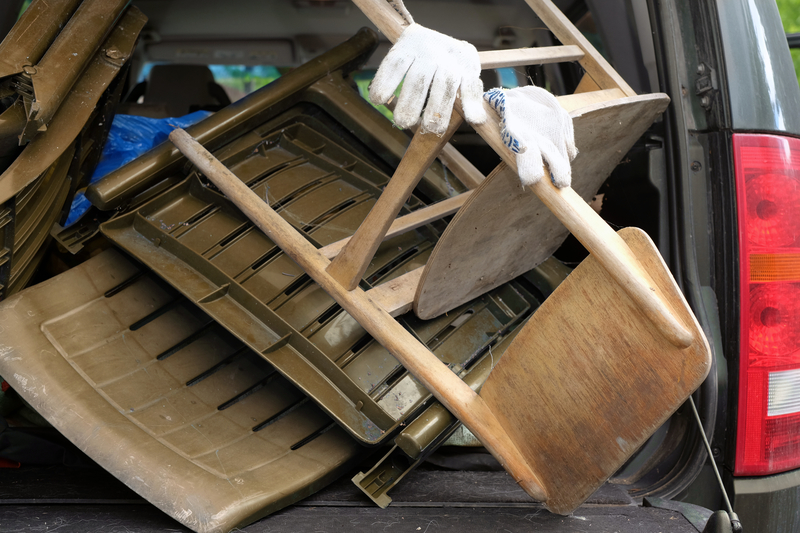 While it’s sometimes best to find new homes for your furniture, it’s worth spending a bit of time thinking about new possibilities for your old items. A saw, some paint, and a few tools can go a long way toward making your old things look new again. Are you ready to shop for furniture that fits your home? 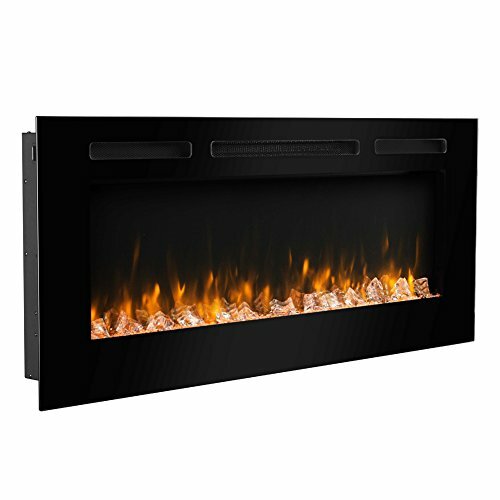 Shop from our selection of home furnishing that are made to enhance corners and optimize space.